OXFORD, Miss. 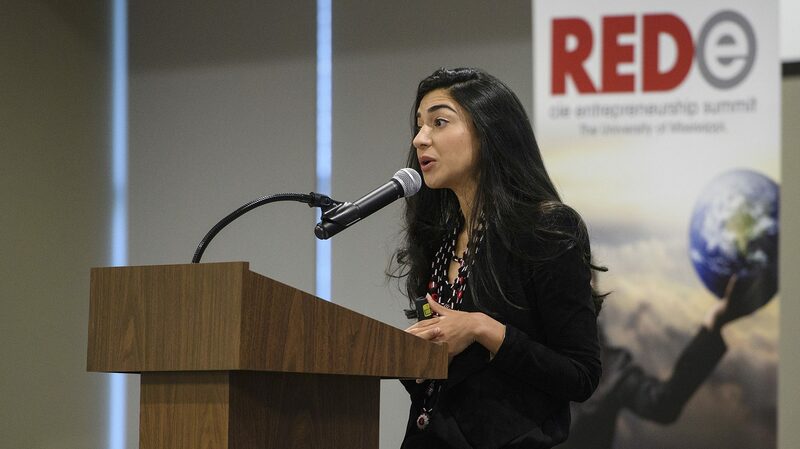 – More than just an engine for economic development, entrepreneurship can be a potent tool for bringing about social change, prominent entrepreneur and women’s rights activist Shiza Shahid told participants at the inaugural REDe Entrepreneurship Summit at the University of Mississippi. 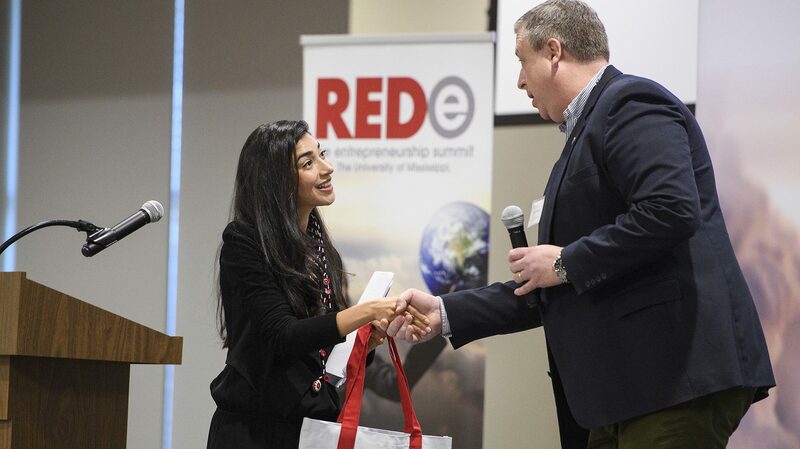 Created by the university’s Center for Innovation and Entrepreneurship to encourage, celebrate and enhance entrepreneurial endeavors among Ole Miss students, the summit focused on supporting women entrepreneurs. Richard Gentry, CIE director, praised the inspirational message of Shahid’s address. A native of Islamabad, Pakistan, Shahid was raised by parents who encouraged her to go to school even though it is not popular for Pakistani women to seek an education. Pakistan is the fifth-largest country in the world and has the second-lowest rate of childhood education. It was Shahid’s goal to change the system so all children – boys and girls – can have opportunities to learn, grow and prosper. While a student at Stanford University, Shahid came to know Malala Yosafzai, a young, outspoken advocate for women’s education. Yosafzai was shot in the head by the Taliban but survived and went on to win the 2014 Nobel Peace Prize for her work on behalf of education. Shahid came to know Yosafzai and helped establish the Malala Fund, which works to create access to high-quality education for all children around the world. “We push for policy changes, urging to allow a higher part of the GDP to girl education,” Shahid said. “We also spend time to highlight issues that need awareness. In August, Shahid launched NOW Ventures in Silicon Valley in partnership with AngelList, the world’s largest venture capital platform. She also invests in mission-driven technology startups that are solving pressing challenges through technology, innovation and high-grown business models. “All of us are born in a particular place, take on a particular view of the world,” she said. “But if we want to truly transform the world, we have to suspend our judgments, biases and prejudices. That message has potential to take root in Mississippi, said Clay Dibrell, CIE executive director.